Making money from home could be done in all possible ways, in this blog I have featured many of them and if you are really excited about working from home and generating the revenue by staying at home and completing home based tasks, browse my website and subscribe in order to receive further updates. This blog is almost three years old and I am very excited to fill it with even more information based on my experience. Running this blog is a lot of fun, I get to find out more and more about various money-making opportunities. Like it happened with LetitBit.net. I have been using this file hosting website for almost a year now and finally I can tell you that I have figured out how to make money by uploading files (the review of LetitBit.net has been already published on IncomeBooster, I just want to tell you how much money I earn by uploading files here and will include my LetitBit payment proofs). First of all, lets talk about the whole point of making money with get paid to upload websites. Basically, these are the free data storage services, which allow you to host files – images, videos, software or any other types of data – and will reward you every time your shared data is downloaded (basically all you have to do it order to start earning is to register with one of these “get paid to upload” websites, get some freebie stuff to share and start spreading the download links). For this job I personally recommend to use LetitBit.net, because they pay you up to 15$ for every 1000 document downloads and the minimum cashout limit is set at 5$ (for people, who are willing to receive webmoney payments) and 15$ for PayPal account holders. 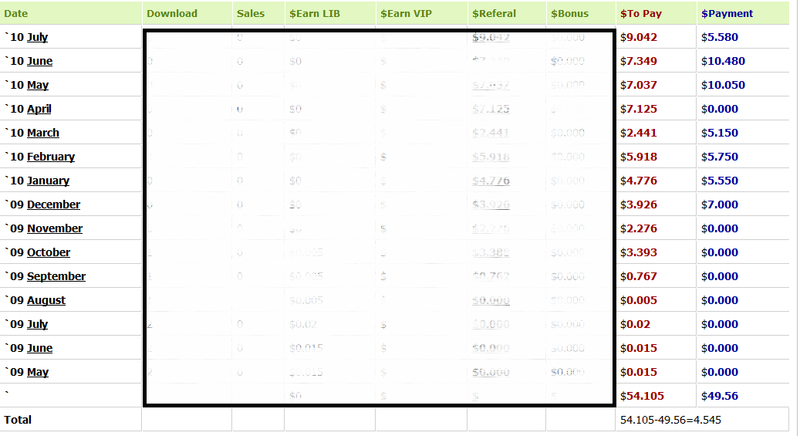 Basically, I get money almost every week from them and I just share my favorite wordpress templates (but you can be more creative and use LetitBit.net for spreading all possible data files). And remember, you get paid for every download your friends or blog visitors make. Making money by uploading is pretty simple and can give you some good profits, if you will be able to find good files to share and people, who are interested in your data. More detailed explanation of how get paid to share websites work I have created a while ago, so I don’t want to waste your time writing everything all over. As for me, LetitBit.net is one of the coolest get paid to share and upload websites on the Internet (even though the amount of such services is just getting bigger and I see that some of them offer up to 35$ for every 1000 downloads, but I will get back to write about that later on). Well, numbers speak louder then words, so just check out my payment proof from LetitBit.net and good luck in earning with this paid to upload website. In case if you want to find out one cool and free way of getting money for being active on social websites, check out my review of Fribiz.com (paid social network and auction). Here you can get awesome prizes (including gift cards and cash rewards) just for being yourself. Thanks for reading, feel free to ask your questions about making money by uploading files at LetitBit.net and subscribe to my free email updates (if you want all my make money online posts sent to your email for free).